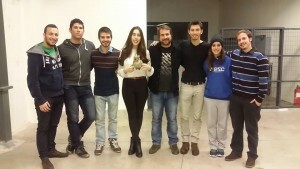 Recently the great job of another amazing antenna was recognised by being named Local of the Month: AEGEE-Athina. The AEGEEan met Chrysanthos Stergiopoulos, the President of this local, who actually confirmed the hard work of his antenna and the activities they have been doing. Curious? Then check this out! The AEGEEan: AEGEE-Athina has been officially elected as local of the month. Congratulations! How do you feel about it? Chrysanthos: The truth is that we feel really happy and rewarded. The whole board and the members of the antenna were working overtime in the last months and with a lot of enthusiasm in order to make their innovative ideas come true. That said, it is a decision that gives us a moral vindication. Did you expect such an important title? Honestly, yes! The first five months of this board’s term were highly active and everyone did what they could best. Local events, regular meetings, Summer University projects, exchanges, partnerships with other NGOs, participation in fairs and of course parties are only a few examples of what AEGEE-Athina organised during this time period. All topped off by a lot of hard work and devotion. Weren’t we worth the title? Can you introduce briefly the history of your local? 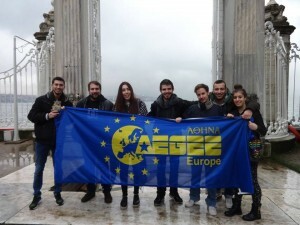 AEGEE-Athina was founded in 1986 and was one of the first locals of the network. Since then, AEGEE-Athina plays an important role within the network, since it has been a considerably big and active antenna throughout the years. The events that were organised by AEGEE-Athina and stood out would be the Agoras of 1992, 1996 and 2002, as well as its participation as co-organiser of the very successful AEGEE project “Turkish-Greek Civic Dialogue”. Who are the members of the current board? Our current board consists of nine members. The President is Chrysanthos Stergiopoulos, the Secretary is Panos Spyrou, the Treasurer is George Mylonas, the Vice President and External Relations Responsible is Dimitris Bouloubassis, the Human Resources Responsible is Maria Dimitriou, the Public Relations and Information Technology Responsible is Simos Grivas, the Fundraising Responsible is Konstantina Anagnostopoulou, the Erasmus+ Responsible is Angeliki Achtypi and finally a general Board Member – Alice Kontogianni. 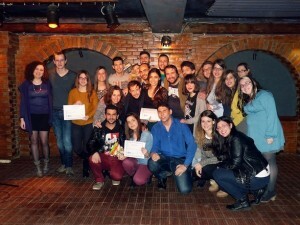 This year y ou organised many interesting activities like “AEGEE’s got Talent”. Could you explain our readers what is it about? “AEGEE’s got talent” is exactly what is sounds to be. Inspired by the worldwide reality show, this year the members of AEGEE-Athina decided to show their talents during this special event. Talents and performances ranged from cooking to karaoke, to theatrical plays, music and dances, from which the jury of course could not be missing. The event had a great success and a part II is already in the making. This year we decided to make AEGEE in Athens more extroverted. Therefore, we signed many partnerships with other NGOs throughout Europe in the frame of Erasmus+ projects. More than 20 different collaborations where signed, giving the chance to many of our members to take part in different voluntary projects while travelling with a specific financial support. In this way we want to make AEGEE an organisation that is not being kept to itself, but that on the contrary plays an active role in terms of European citizenship and non-formal education. What about your exchange programme? Three different exchange programmes where held in a period of four months. These exchanges include the antennae of Istanbul, Bamberg and Gdansk. The exchanges took place in two parts, meaning that Athenians were hosted by the above-mentioned antennae, and people from these antennae were in return hosted by Athenians. The purpose of these exchanges was to strengthen the bonds between AEGEEans, something that was accomplished with success, as collaborative projects have been discussed, such as a Greek-Turkish dialogue and a Summer University cooperation. More exchanges are planned for autumn. This year your local is organising a Summer University to. Is everything ready for your lucky participants? Introduce your SU to our readers. This year AEGEE-Athina is going big. We are organising two amazing Summer Universities for our lucky participants. The first one under the name of “Sunset Paradise Vol. III” has a thematic of history and local culture. The participants will have the chance to visit the capital of Greece, Athens, the cradle of democracy and western civilization, as well as the beautiful islands of Naxos and Santorini, where the Cycladic civilization, one of the very first in Greece, flourished around 3000 BC. And all this under the breathtaking sunsets of the Mediterranean sea. Pretty interesting, isn’t it? The second one is for the first time attempted by our antenna. The title is “Summer Sportades: Born to be Wild \m/” and the theme is oriented towards eco-tourism and agro-tourism. Participants will have the chance to visit three islands of Northern Sporades with untouched nature and crystal clear water, where they will practice more alternative activities, like water sports, hiking, wild-life observation and workshops about local production and art. Our plan is to continue working for the best of our antenna and soon to become the first antenna to organise four Agorae. I would like just to say that the success of the antenna this year is due to team work. However, I do not mean it with the plain term of just working in a team. It has to do with other things more substantial. It has to do with understanding and respecting one another through the process of voluntary work, where you have nothing to gain and nothing to lose. There, you get the chance to approach the others selflessly and accept them for what they are. 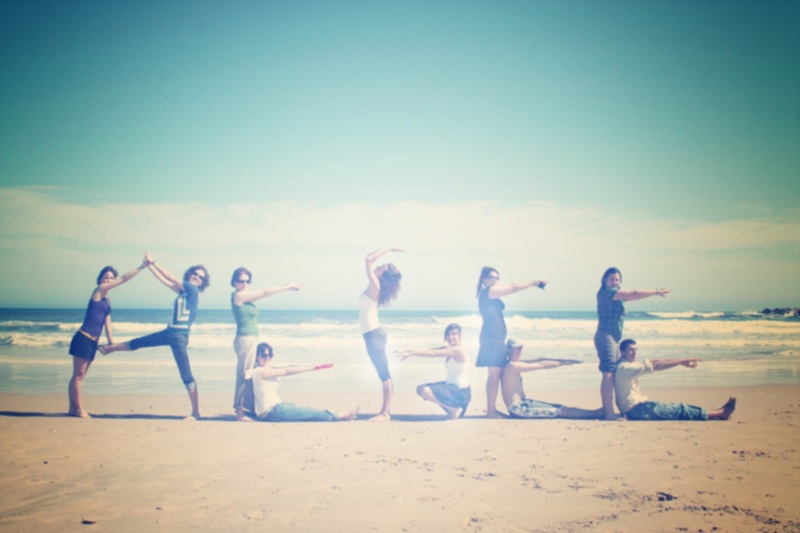 Then, you get the meaning of real friendship, you get to enjoy the real company of others. This is when you can create bonds that cannot be severed and with this strength you can build all things from nothing. This is the idea of my antenna this year and I am really proud to be the President of it.